Cellulose soaked in a carefully designed polymer mixture acts as a sensor to measure pressure, temperature and humidity - at the same time! The measurements are completely independent of each other. The sensor may be highly significant in fields such as robotics, healthcare and security. 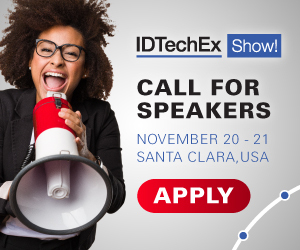 For more information see the IDTechEx report on Wearable Sensors 2018-2028. "What is new is that we can distinguish between the thermoelectric response of the electrons (giving the temperature gradient) and that of the ions (giving the humidity level) by following the electrical signal versus time. That is because the two responses occur at different speeds," says Xavier Crispin, professor in the Laboratory of Organic Electronics and principal author of the article published in Advanced Science. "This means that we can measure three parameters with one material, without the different measurements being coupled," he says. "Our unique sensor also prepares the way for the internet of things, and brings lower complexity and lower production costs. This is an advantage not least in the security industry. A further possible application is placing sensors into packages with sensitive goods," says Simone Fabiano.